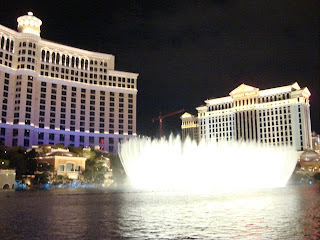 I miss this scenery as the famous dancing water show in front of Bellagio Hotel in Las Vegas is performing. I always love it here when I have the chance to go to Las Vegas strip during my vacation there last year. Sorry guys, I am late again for posting this. I have problem again with my pc yesterday. It was processing very very slow. Have fun watching the pictures here. Good evening too! I hope to go back again to Las Vegas next year. Click the logo to join and see the beauty of different waters around the world! Happy Watery Wednesday!